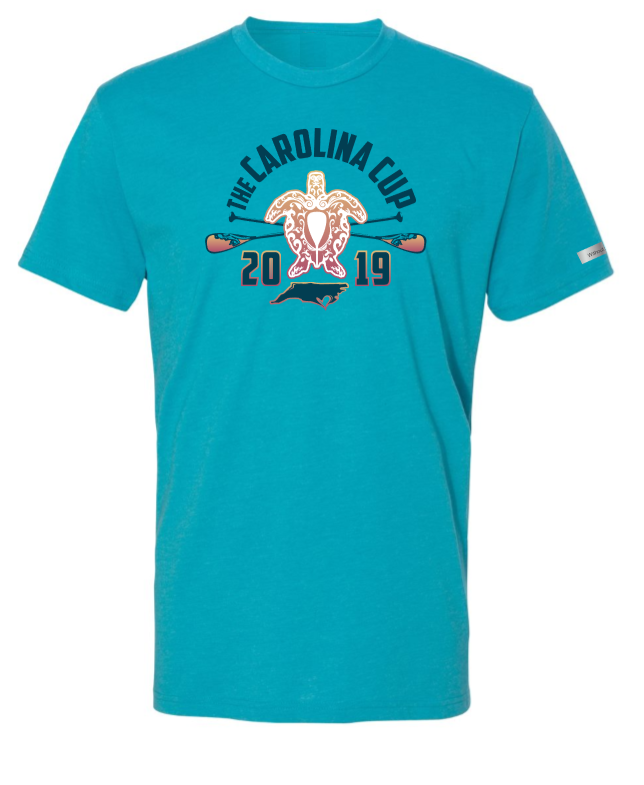 The 2019 Carolina Cup is in its 9th year and is a week-long event featuring over a dozen clinics and 5 races. On Friday, there will be several fun clinics. 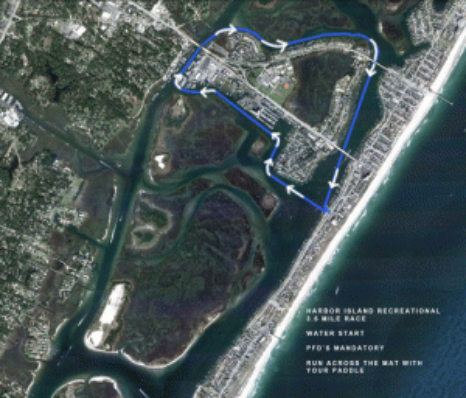 On Saturday, there is a 3.5-mile Harbor Island Recreational race, 6.5-mile Money Island Open Race, the dreaded 13.1-mile Graveyard Elite Race and the Graveyard Elite Outrigger and Surfski race. On Sunday, the Kids Race. In 2016, the Carolina Cup was the largest race on the East Coast with over 900 paddlers competing in races and participating in clinics. In 2015, the Carolina Cup became the largest and most competitive SUP race in the world. The Carolina Cup will be the 1st race of 5 to qualify for the APP & WPA SUP Qualifying Series Click Here for more information.! 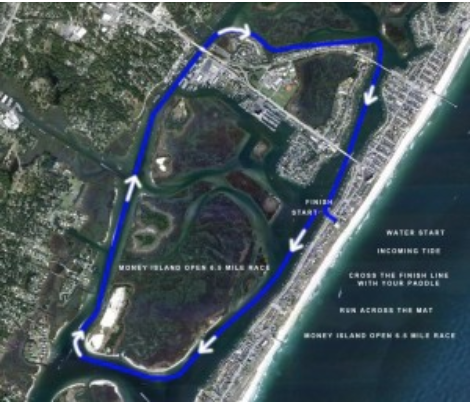 This is a 3.5-mile flat water race, in the inland waterways and ICWW around Harbor Island in Wrightsville Beach. There are currents and wind, some boat traffic, but no ocean swells and a large portion of the race is in no-wake zones. This 3.5 mile race around Harbor Island on Wrightsville Beach is the 5K of the SUP race scene. It’s the perfect distance and course to start off on your SUP race adventure. Depending on your board and experience, it will take between 50 minutes and an hour and a half to complete the course. This is a great opportunity to get on a board and enjoy the water, enjoy the day. This is a longer flat-water race, in the inland waterways around Wrightsville Beach, Harbor Island and the spoil islands between WB and Masonboro Island. Just like the Recreational Race, there are currents and wind, but no ocean swells. 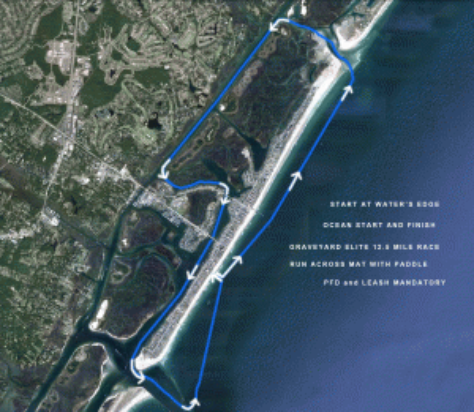 This 6 mile race around Harbor Island on Wrightsville Beach is the 10K of the SUP race scene. It’s the perfect distance and course if you’ve been paddling and want a challenge. This is an intermediate to advanced race. Depending on your board and experience, it will take between 1 and 2 hours to complete the course. This is a great opportunity to get into the racing scene, to push you body, and to see what you can do. Graveyard Course, but it starts and finishes on the Sound Side. Water start and beach finish. *Please note that there must be 5 participants to get an awards & you can only receive 1 award per race (participant cannot win overall & age group. The Kid’s Race is a fun event to kick off the races on the Sound Side for children ages 6-14. They can complete 1 op 2 loops and all get recognized. * Participants must register by March 24th to be guaranteed a Participant T-Shirt & Medal. * You do not have to race to take a clinic or take a clinic to race. You also do not have to race or take a clinic to come watch the race and enjoy the expo and demos. * Race can be cancelled due to weather and conditions. *A portion of the proceeds will benefit the Nourish NC–The Carolina Cup Charity Sponsor. Register today before the Price Increase! Online registration closes 11:59PM Tuesday April 23th. Onsite registration will be available at the Blockade Runner at packet pick up on Friday at which time price increases $20. SIGN UP TODAY FOR THE BEST PRICES!! View our properties – or email us (reservations@seascapeproperties.com) for more information. Conveniently located to Carolina Cup activities, the Wilmington International Airport (ILM) serves southeastern North Carolina with commercial air service via American Airlines, United, and Delta. Welcoming over 930,000 passengers annually, ILM services 8 non-stop destinations, 6 international gateways, and 310 destinations worldwide with one stop, which allow for convenient domestic and international travel. ILM prides itself on offering award winning customer service and convenience with multiple flight options, prompt security screening, and close parking. Rental cars are also available onsite for easy pick-up and drop-off. Click here for Reservations. .
NourishNC is a 501 (c)(3) nonprofit whose mission is to “Provide healthy food to hungry children, empowering them to succeed in the classroom and in their community.” Our goal is to enhance children’s health and well-being by preventing the devastating consequences of child hunger. We are committed to providing our community’s most vulnerable children with nutritious food. website. The Carolina Cup has partnered with Without Limits Apparel this year. They produce premium high quality, comfortable apparel for events all over the US. All Participants will receive a Participant T-Shirt if you register before March 24th! You can order additional Participant Tee’s under extra items. XS-XXL are available. You can also pre-order these new items! Quantities are limited Order yours today on Paddle Guru! Click Here ! Friday, April 26th. 10-5. | Saturday, April 27th. 12-4. | Sunday, April 28th. 9-12. It’s time to put the latest & greatest to the test. Try out the industry’s newest boards, paddles & gear for yourself during The Carolina Cup Demo Day presented by Carolina Paddleboard Company from Friday, April 20 to Sunday, April 22. Demo registration will be available during expo hours at the Carolina Paddleboard Company tent located on the Blockade Runner Beach Resort sound side lawn. All demo participants will need to provide a valid ID and credit card at the time of demo. Charges will not be made to your card unless equipment is damaged or not returned. Please register for the race below. Are you at the point where you want to take your SUP racing experiences into the open ocean and through the surf zone? Looking to step up and complete the Graveyard race at the Carolina Cup? Then join Dan Gavere as he will be guiding you through the basic skills and information necessary for your race and to take your racing skills to the next level with confidence. Dan will focus on sound side starts, and surf landings, safely controlling a race board in the surf zone, paddling in crosswinds and analyzing currents and different lines for the best possible finish at the 2019 Graveyard Race. This will be a great opportunity to learn rough water board handling skills and the most recent methods for paddling technique, board control, and footwork needed in open and rough water situations. A quick review of your personal equipment and evaluation of technique with individual critiques tailored to each participant’s skill level. There is a good chance that participants will be getting wet and falling in the water so please come prepared to get the most out of this unique experience by wearing the appropriate gear. Love Stand up paddling and want to share your passion with others? Be ready to teach SUP in your community this summer. Curriculum includes classroom and on water instruction in: Equipment selection & SUP etiquette Lesson plans & injury prevention Paddling skills & Water safety All-around board recommended. Travis wants to share with you his personal experiences on how he has trained over the years. What has changed, what works best for the sport of sup and outrigger canoe paddling. What he thinks is the best approach and how to adapt your workouts to meet your goals. Travis will touch on technique, board and paddle questions as well as race nutrition and even his recover methodsTravis’s major wins have been Carolina Cup (Sup and OC1) , Molokai (Sup, Oc1 and OC6) BOP (Tech and Distance race) even an ISA gold, Just to name a few. He has many years of paddling experience and wants to share what he has learned over his years at racing at the top. His take on training methods and making the most of your short training window. He will share his tips on fitting in your workouts in and around your busy lives. Don’t miss out on the Chance while Travis is on the East Coast. Travis wants to share with you his personal experiences on how he has trained over the years. What’s changed, what works best for the sport of sup and outrigger canoe paddling. What he thinks is the best approach and how to adapt your workouts to meet your goals. Travis will touch on technique, board and paddle questions as well as race nutrition and even his recover methods Travis’s major wins have been Carolina Cup (Sup and OC1) , Molokai (Sup, Oc1 and OC6) BOP (Tech and Distance race) even an ISA gold, Just to name a few.He has many years of paddling experience and wants to share what he has learned over his years at racing at the top. His take on training methods and making the most of your short training window. He will share his tips on fitting in your workouts in and around your busy lives. Don’t miss out on the Chance while Travis is on the East Coast. The clinic starts with a land based theory lesson of the biomechanics of the stroke. The group will practice this on land while Michael emphasizes what they need to change and improve on. Afterwards, all paddlers will do a land based warm up and water based warm up that all clients can use before the Carolina Cup. The clinic will then move into the water breaking down the stroke in different drills that you can use at home to help your paddle stroke become more efficient and effective over distance racing. Then we move to a sprint style stroke, wash riding and starting. To finish off we come in and debrief the session. All the things that we need to do in the Carolina Cup Graveyard Race will be covered in the session! These sessions are specifically designed around the participant! Focus can be on skills, drills, technique, training, turning, wash riding etc. You name it we can do it. Paddling skills Clinic with Coach Seychelle. -This is an all-levels clinic geared toward SUP racers looking to improve their efficiency, performance, speed, and longevity in this sport. Not just for current Paddle Monster members. Clinic Includes: Break down of the paddling stroke mechanics to improve efficiency, power and speed, and to reduced pain and fatigue levels. Drills to work on to improve your paddling technique. Some time to discuss Q&As: Mental strength, Nutrition, Training, Ultra paddling, etc. This section will depend on timing, attendance, and the group’s desires. Come prepared to ask questions. 🙂 Plus: A 10-day free trial to online coaching and training programs with me on PaddleMonster.com to continue working on your skills! (If not already a member) And, some fun giveaways from my sponsors! What to Bring: An enthusiasm for learning, A desire to have fun, Goals you would like to work on, A big smile, plus your Board, Paddle, PFD, & Reusable water bottle or Hydration pack. You will learn how to: 1) Set and anchor the TRX straps. 2) Adjustment level of the TRX straps. 3) Learn the 6 foundational movements associated with the TRX straps 4) Identify biomechanics and key muscle groups utilized in SUP 5) Discuss key injury prevention exercises for SUP athletes utilizing the TRX straps 6) Overview of macro-cycle training for SUP 7) If time allows, TRX operators will lead a short TRX straps workout routine. Racing is for everybody! Whether you’re looking for a place to challenge your own abilities, you are competitive in nature, or you are simply looking for a new challenge, racing can provide all of that! We all come into stand up paddle racing from different backgrounds and for different reasons. Racing has taught me so much about myself as a person and the discipline it takes to train has improved my everyday life as an athlete and as an individual. Beyond anything else, racing is fun! It’s a place where you can meet likeminded people and have a good time sharing your passion! So, let’s get ready to race! Let’s have some fun out on the water with a bunch of our best friends, all learning from each other and improving our skills! This clinic is for the first time racer who isn’t sure what to expect and the experienced racer looking to find some new excitement about the racing scene! I absolutely love stand up paddle racing and I hope to share some of my excitement with all of you! We will talk about race strategy, race preparation, and we will practice race starts, work on techniques like drafting, sprinting, and buoy turns… All of the crucial aspects of racing. Looking forward to getting out on the water with you! Do you want to be more comfortable on your board? Do you want get better at turning? Do you want to go faster? Do you want to have more fun? If you answered yes to any of these questions, this is the clinic for you. During this 2-hour clinic, you will learn valuable subtleties, drills, footwork tricks, and paddle manipulations that will help improve your movement on your board as well as overall performance and speed… and you’ll have a lot of fun too!. Support the companies who support the Carolina Cup: Check them out! Get the latest news and updates about the Quiksilver Waterman Carolina Cup directly in your inbox! Sign up to join our newsletter today.